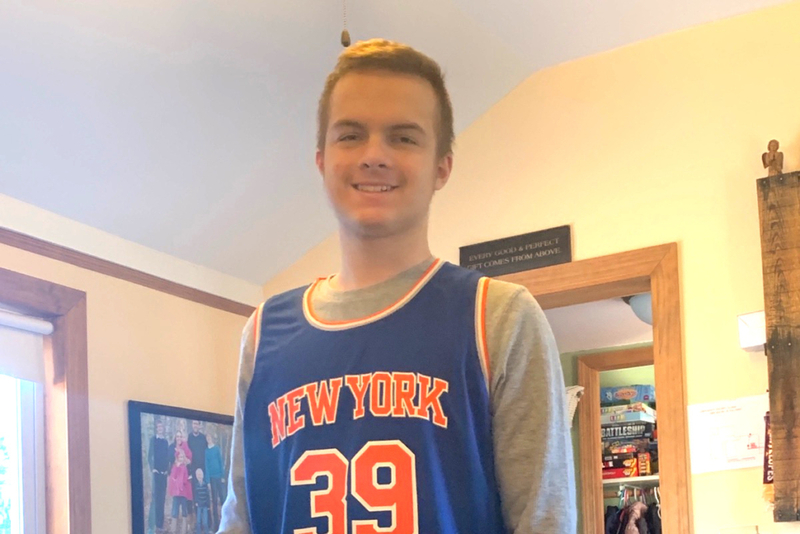 A spaghetti supper fundraiser, which will include 50/50 tickets and a silent auction, for Jacob Seigars, will take place on Saturday, February 2, between 4:30 and 7 p.m., at the Erskine Academy cafeteria, in South China, as he battles leukemia for the second time around. The fundraiser is sponsored by the Erskine girls basketball team. The community is invited to come out and support Jacob Seigars, who is fighting his second round of Leukemia. Jacob is a 14-year-old teen from Palermo and China. He attended China schools from kindergarten until September 2017, then Palermo School from October 2017 to January 2018. He’s an all-star athlete who is especially talented on the basketball court and the soccer field. Jacob has a million dollar smile and always keeps his family and friends laughing with his jokes. He is so kind to everyone around him: holding doors open for others and usually the first to offer a helping hand wherever it’s needed. He missed his first day of high school and hasn’t yet been able to play in a high school sports game or attend a high school dance. He was first diagnosed with Acute Myeloid Leukemia on January 15, 2018. He spent five out of the first seven months of 2018 in the hospital between Barbara Bush Children’s Hospital and Boston Children’s Hospital. In his first battle he had three rounds of various chemotherapies, blood transfusions, a PICC line put in and taken out, a central line put in and taken out, a ventilator while intubated, a feeding tube, countless bone marrow biopsies and lumbar punctures and a bone marrow transplant with marrow donated by his big brother Shawn. He has been recovering from his bone marrow transplant at home since July 2018, and everyone believed he had fought and beaten his Leukemia. But on January 2, 2019, it was learned that Jacob had relapsed and he has to fight Leukemia for a second time. Since his diagnosis he has had another bone marrow biopsy, two lumbar punctures, started a new course of chemotherapy and had a new central line placed. All money donated will go directly to Jacob’s family and will be used for gas, tolls, hotels, food while traveling to the hospital and any uncovered medical expenses. If you can’t make the dinner but would like to donate either money or a silent auction item, please feel free to contact Jane Golden at janedickgolden@hotmail.com.